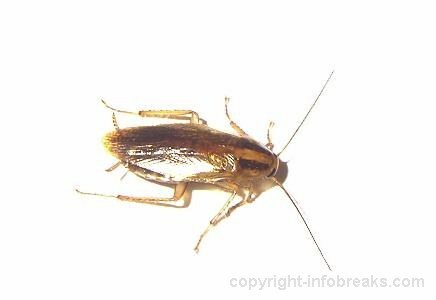 The German cockroach can infest heavely in you cabinets mostly in kitchens and bathrooms but can spread throughout your home. It is 1/2 to 5/8 inch long. More about the german cockroach.